For years, enthusiasts have been asserting, vehemently, that organic substances should replace chemical fertilizers and poison dusts and sprays. Well, maybe it could, but we doubt it. Nobody has been able to prove it, and we don’t relish the thought of starving to death during the experiment. And that is exactly what would happen, for there is just not enough organic matter to go around. What is organic matter? It is the residue from plants and animals, decomposed or in the process of decomposition. The leaf mold of the forest floor contains a large proportion of it. So do muck soils and certain other types. There is nothing new about it, yet the proponents of “organic gardening” would have us believe they have beheld a revelation of something which before was undiscovered. 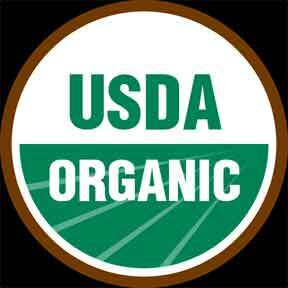 The need for organic matter in the soil has been recognized for centuries. Agrarian races of antiquity saved every ounce of it from any source available. Their very lives depended on it. And as history records, because there was too little of it in proportion to the number who had to be fed, famine stalked across the land and millions perished. Today we fight famine with fertilizer and efficient farm management. We know that soils are unproductive if deficient in organic matter. So we try to maintain it at a high level, the farmer by turning under animal manures and vegetation; the gardener by adding the same, or peat moss, sawdust, leaves, pine needles and home made compost. Take a market gardener, who grows three or four crops a season on the same area. He keeps no farm animals, hence has no manure. For this he depends on dairies, hog farms and the poultry plants of others. The supply is limited, so to maintain the organics in his land, he works into it as much rye, sweet clover, sod and other vegetation as his program will economically allow. In addition to this he must add chemical fertilizer, usually two tons per acre, to realize a profit from his enterprise. He knows that to farm with organic substances alone and without commercial fertilizer he would have to devote four out of five acres to the production of vegetation. What about the effect of these chemicals on the health of those who eat “artificially blown up foods” grown by this means? The organic champions claim that chemical fertilizers are ruining our soils and undermining the health of man and animals and are responsible for nervousness, heart trouble, gall stones, ulcers, arthritis, rheumatism and cancer. Another indictment against chemical fertilizers is that they are killing off our earthworms, those faithful underground toilers, so beneficial to the soil. The falsity of this claim has been proved again and again. The most recent report on this comes from the U.S.D.A. Research Station at Beltsville, Md., as a result of carefully controlled experiments: “Earthworms thrive and do a better job of soil building on well-fertilized land. More benefit is obtained from fertilizer when earthworms are present.” So it works both ways. The defenders of the organic theory say that bugs and blights are not so likely to attack plants grown without fertilizer. Pests just don’t like the taste of unfertilized plants, it seems. This is not true. It is true that healthy plants are better able to resist pest attacks than are unhealthy plants, but we grow such plants in soil well-balanced as to both organic matter and chemical plant food. And right there is the secret of successful farming and good gardening – the maintenance of a proper balance between organic materials and chemical fertilizer. The conversion of fertilizer into crop dollars has paid off farm mortgages, sent rural boys and girls to college, provided conveniences in the home and the barn, and raised the farming population of America to a noble, respectable estate.